Flower - Available as a download or stream? 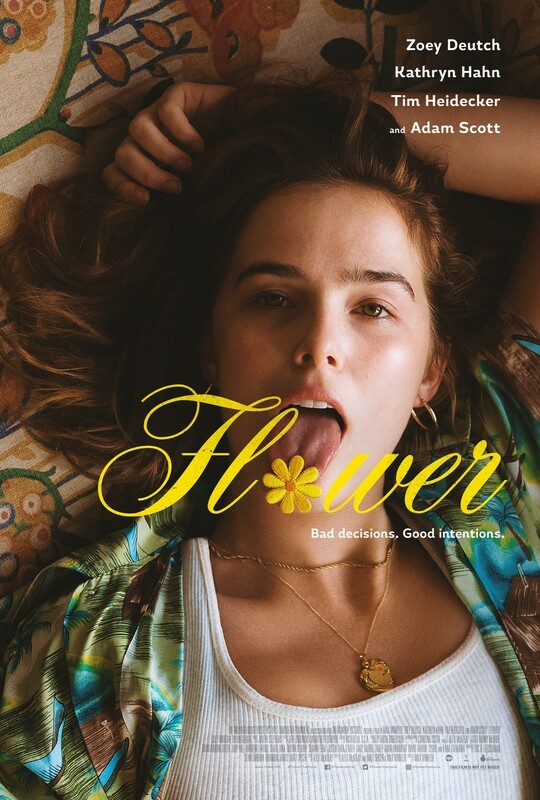 “Flower” is the second feature film from acclaimed television director Max Winkler, set to be released in March of 2018. The story follows Erica, a sexually frustrated seventeen year old girl (Zoey Deutch) whose life is further complicated after her mother (Kathryn Hahn) invited her boyfriend to live with them (Adam Scott). Erica distacts herself by orchestrating various shemes desigined to extort perverted old men out of their money.